Utilizing our knowledge and expertise gained over the years, we are able to keep up with the dynamic requirements of the customers. 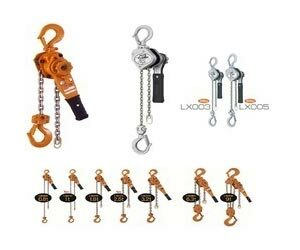 As a Supplier, Exporter and Importer of Kito Lever Hoist, we provide the absolute quality to our customers. The quality is ensured to meet up the required parameters and standards of quality set by the industry. We design for all of the applications in the professional field such as transportation, bridge, general construction, civil engineering, shipbuilding, and forestry.